The image of the honeybee is one of the oldest and most used animal pictured in ancient writings. Come experience this multi-sensory class presented on the sacred journey of the honeybee. Learn about the ancient and rich history of the honeybee. Join in a meditation circle as we experience actual sounds from the hive. Taste an herbal tea blended from the favorite flowers of honeybees, sweetened with local honey. Experience the magic of honeybee energy infused essence. 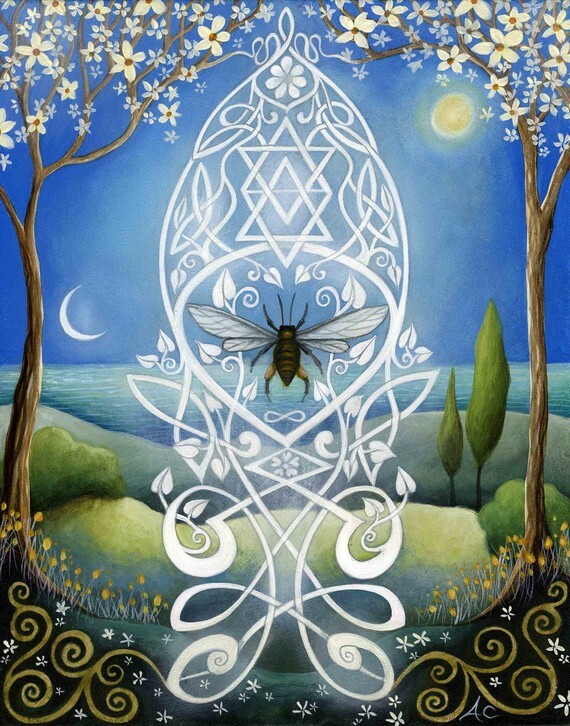 We will also experience an ancient ceremony honoring the honeybee. Join us November 29 6:00-8:30, suggested donation $10-20, all proceeds go to a save the bees!